I got this sesame dressing recipe from Kaori, a lovely woman who teaches Japanese cooking in her Guesthouse Roujiya, tucked away in a quiet corner of Kyoto. This sesame dressing is simple, versatile and really flavorful. 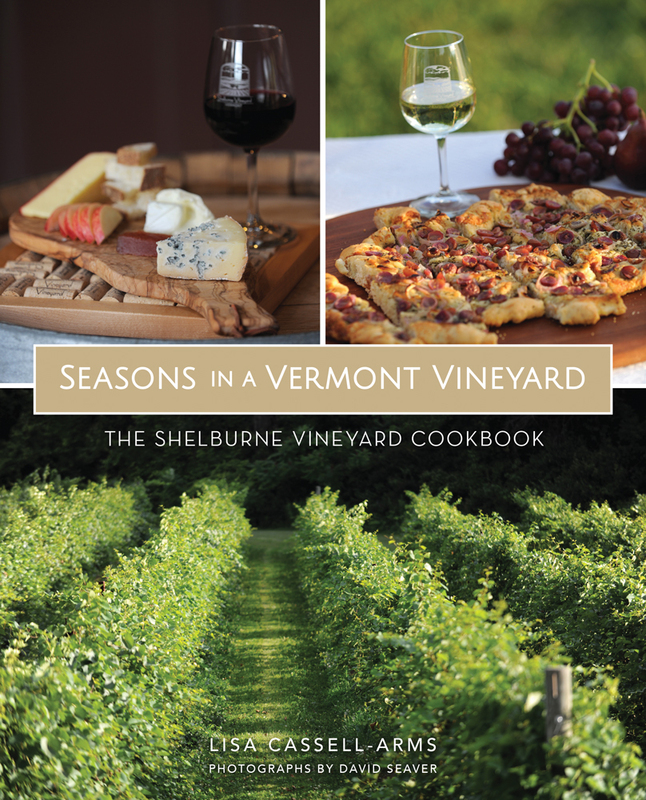 Use it on steamed veggies or greens, as a salad dressing, or even to drizzle on skewers of grilled chicken, beef or shrimp. 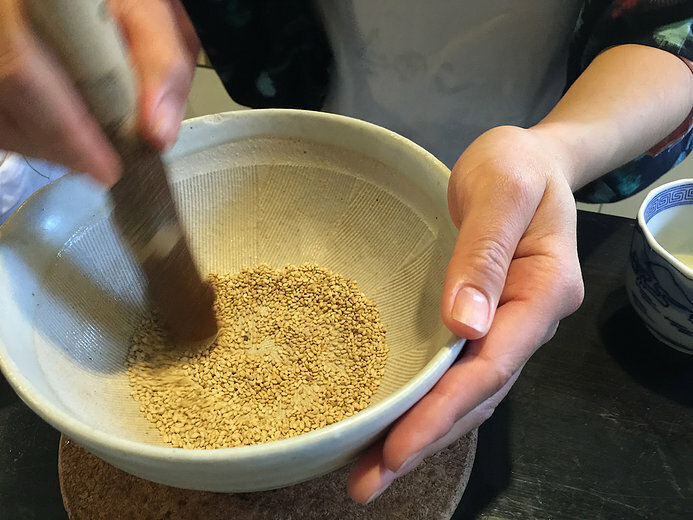 In the bowl of a mortar and pestle (or food processor), grind the sesame seeds until a paste forms. Transfer paste to a bowl and whisk in the sugar, soy sauce, chicken broth or water, rice vinegar and sesame oil. 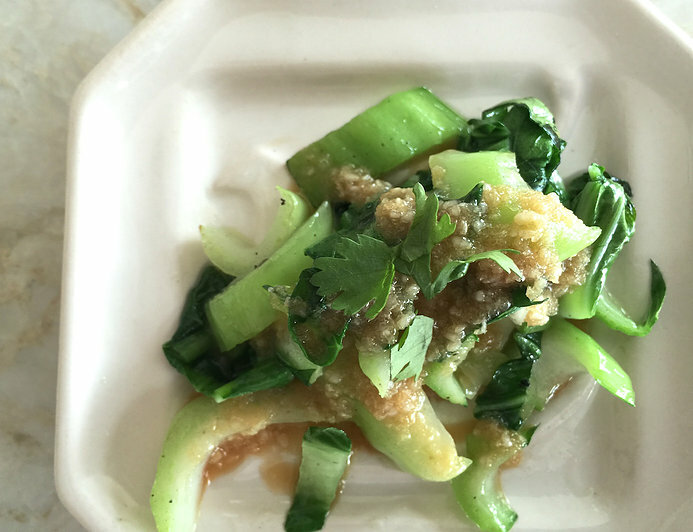 In a saucepan, bring about an inch of water to a boil and add baby bok choy. Cook for about 5-7 minutes until just tender. Remove, drain and roughly chop. Toss with sesame dressing. Kaori is and excellent teacher and ambassador for Japanese cuisine and culture. 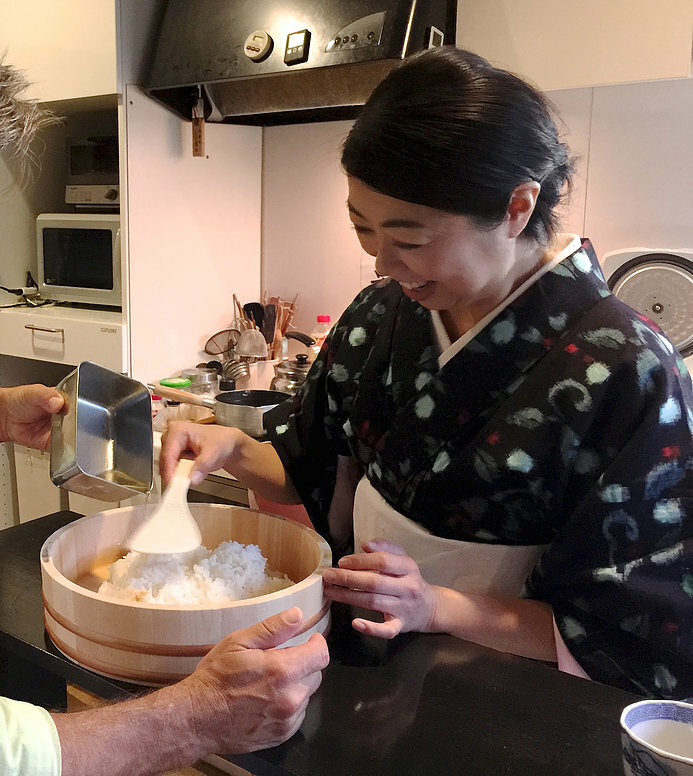 We spent a wonderful afternoon in her kitchen learning about unfamiliar ingredients, flavors and the traditions behind different styles of Japanese cusine. Kaori also taught us how to prepare dashi; a delicate and subtle broth made with kelp and bonito fish flakes that is the foundation for many Japanese dishes. 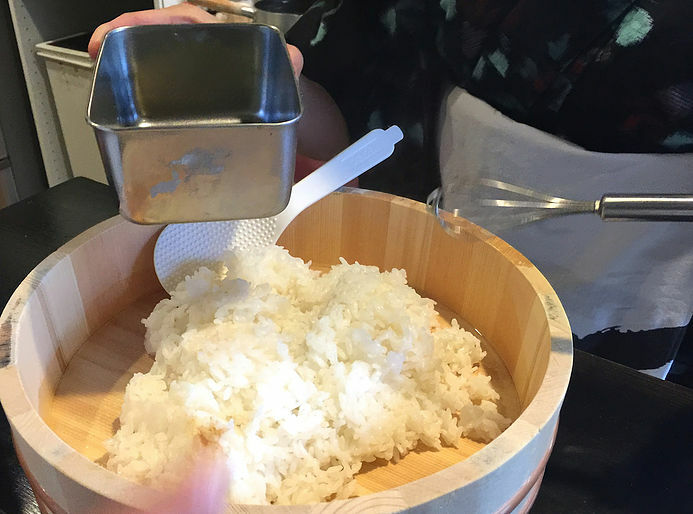 We learned how to make proper sushi rice (gently folding rice vinegar into the rice and then cooling the mixture with a fan to set it’s glossy appearance) and then worked on mastering the sushi roll. Check out her technique below.